Most video games are about objects bumping into each other. Fisica automatically resolves the reactions (bouncing) when two FBody collide but it’s crucial to detect when that happens in order to give the player some meaningful feedback. Now I can manipulate body1 and body2 in the same way I manipulate all the FBody, changing parameters, destroying them etc. Note: a body involved in a collision can arbitrarily be the first or the second. So you may need to do two checks. The FContact method .contains can also be useful to verify certain conditions. Is this a contact that involves a body named “hero” and a “star”? See naming below. Often you need to discriminate collision between certain groups of bodies (e.g. bullets vs enemies) of which you don’t have direct references (i.e. they are not declared as named object globally like “FCircle circle;”). Names come in very handy for this purpose. Also check accessing dynamically created bodies. Full example here in which I want the stars but not the walls to disappear upon contact with the avatar. You are now ready to create your first video game! 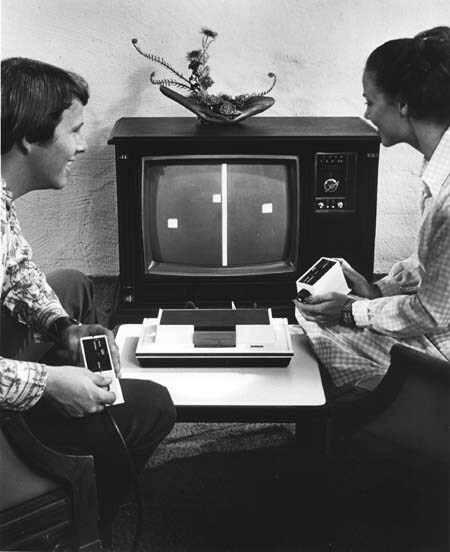 Start with Pong or Breakout.